M.I.T. Establishes New “Big Data” Center! “The Massachusetts Institute of Technology today announced a research initiative to tame so-called Big Data, sets of information that are so complex and fast-growing that they defy traditional methods of analysis. Examples are the data involved in online financial transactions of major banks or collected by social networks. This is a most interesting field of study for a host of disciplines including computer science, engineering, mathematics, statistics, sociology, and education. College Graduates – Gaps in American Cities! “College graduates are more unevenly distributed in the top 100 metropolitan areas now than they were four decades ago. More adults have bachelor’s degrees, but the difference between the most and least educated metro areas is double what it was in 1970…. “There’s a relentless cycle in which knowledge breeds knowledge, but the flip side is that many places are left out,” said Alan Berube, a senior fellow at Brookings who conducted the analysis using census data from the American Community Survey. In addition to economic impact, in a pattern that is part education, part family background, college graduates tend to have longer life expectancies, higher household incomes, lower divorce rates and fewer single-parent families than those with less education, and cities where they cluster tend to exhibit those patterns more strongly. New Digital Divide Seen in How Young People Use Technology! The article cites a study published by the Kaiser Family Foundation that found that children and teenagers whose parents do not have a college degree spent 90 minutes more per day exposed to media than children from higher socioeconomic families. In 1999, the difference was just 16 minutes. Specifically the study found that children of parents who do not have a college degree spend 11.5 hours each day exposed to media from a variety of sources, including television, computer and other gadgets. That is an increase of 4 hours and 40 minutes per day since 1999. New York City Immigrant Communities: Where VHS is King or If It Still Works – Use It! “The survival of the format may speak to a frugal strain among some immigrants, particularly those who are older, who seem more reluctant to embrace the throwaway, ever-modernizing consumer culture of America. Why upgrade to today’s technology? Those old cassettes do just fine. Alan Simpson: Republicans Need to Learn to Compromise!! Former Sen. Alan Simpson (R-Wyo.) criticized members of his party on Sunday for their unwillingness to compromise on proposed tax increases. Simpson told CNN’s Fareed Zakaria that Republicans’ rigid opposition to new tax revenues has hampered productivity and diminished the chances of reaching an agreement with Democrats on debt reduction. Yes and thank you Sen. Simpson! 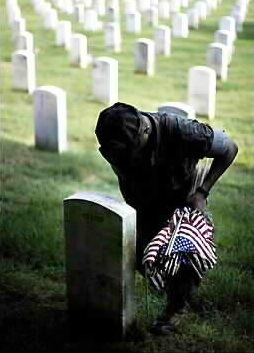 Memorial Day 2012: Never Forget!!! George Will: Donald Trump a “Bloviating Ignoramus”!! Trump endorsed Romney in the Republican presidential race in February. He is scheduled to appear with Romney at a May 29 fundraiser in Las Vegas, even as the Romney campaign refutes his claims that President Obama was not born in the U.S. Trump recently raised his birther views again in a new interview. Ross Douhat on the Facebook Illusion! “I will confess to taking a certain amount of dyspeptic pleasure from Facebook’s hard landing, which had Bloomberg Businessweek declaring the I.P.O. “the biggest flop of the decade” after five days of trading. Of all the major hubs of Internet-era excitement, Mark Zuckerberg’s social networking site has always struck me as one of the most noxious, dependent for its success on the darker aspects of online life: the zeal for constant self-fashioning and self-promotion, the pursuit of virtual forms of “community” and “friendship” that bear only a passing resemblance to the genuine article, and the relentless diminution of the private sphere in the quest for advertising dollars. Tough commentary for a lot of Facebook investors! Turing’s Cathedral: The Origins of the Digital Universe – A Good Read!! I have just finished reading George Dyson latest book, Turing’s Cathedral: The Origins of the Digital Universe. It is a first-rate account of the early years of computing at the Institute for Advanced Studies at Princeton. All the key characters of the development of the first computers: John von Newman, Alan Turing, Mauchley and Ekert, Robert Oppenheimer, and Edward Teller are included. The book carefully provides insight into the relationship between the first computers and building of the atom bomb. Dyson interviewed several people present at the Institute during von Neumann’s tenure there, including his own father, the physicist Freeman Dyson. It also includes lesser-known but nonetheless important individuals such as Klári von Neumann (John’s wife), a socialite who became one of the world’s first machine-language programmers and committed suicide by downing cocktails before walking into the Pacific surf in a black dress. In addition to the luminaries, it was fun reading about the trials and tribulations of working with punched cards, computers with 4K of memory, programs stored on paper tape, machine language coding, etc. I am not ashamed to say I started my career with the same type of technology at Hunter College in the Bronx later Lehman College in the 1960s. I highly recommend Turing’s Cathedral… as a good summer read. New York State Approaching “Educational Insolvency”! Billy Easton, executive director of the Alliance for Quality Education, has an opinion piece in the New York Times, criticizing Governor Mario Cuomo and the cuts being made in New York State education aid. “In one recent, glaring case, the valedictorian of a rural school district outside Rochester was rejected by a nearby State University of New York campus — not because her grades were too low, but because her high school didn’t offer the courses needed to compete for college admission.